Believe it or not, tonight I’m actually grateful for these guys. Despite the friendly teasing, I never feel intellectually unequal in their presence, and even if I’m being completely crazy, I’m always taken seriously. Thanks for letting me sit at the cool kids table. 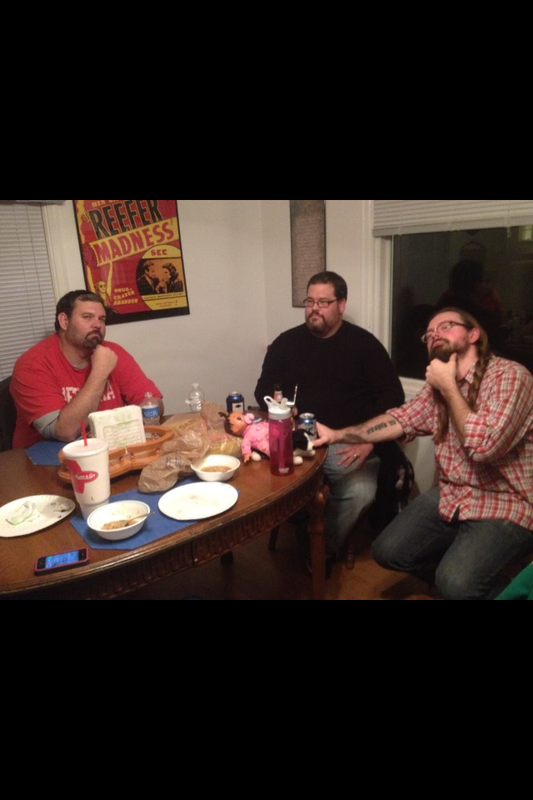 Photo of this Brain Trust taken by my friend Becca. Yep. This clip very much defines our relationship. But I mean that in the lovingest possible way. ← Previous Post It Could Always, Always Be Worse.